Often, we have quite a bit of space available on the sides of houses – space occupied by unsightly bulging appliances, window wells, utility meters, and seeded with dying grass. I see a great opportunity to convert these unused areas into bountiful growing space. 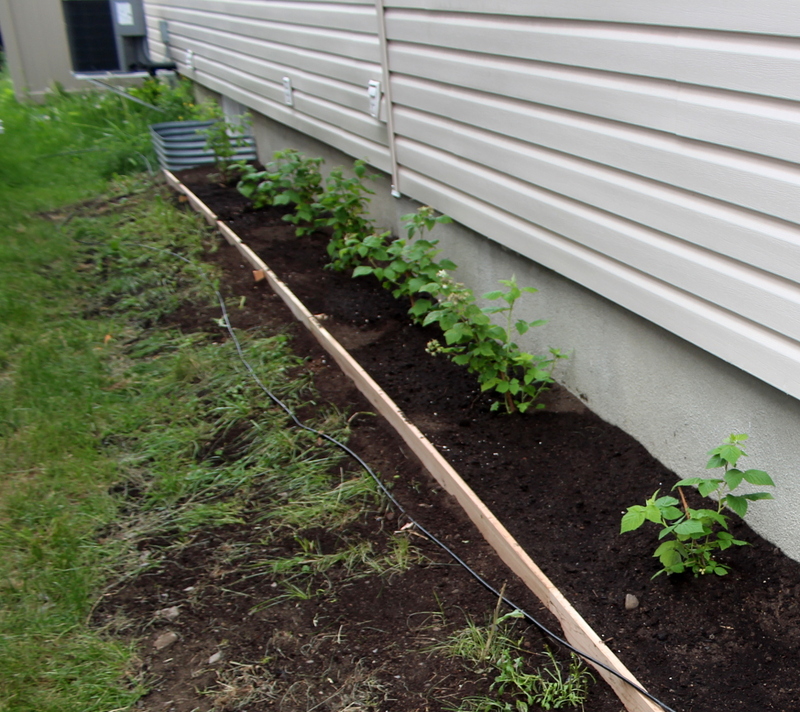 Last year, as an experiment, I have dug out a small patch on the mostly shady part of the house. The going was tough, since our soil is a very shallow layer of clay and rocks. It felt like I was working ground in Ireland, extracting lots of rocks to make the soil to be of any use and piling them up into a rock border around the dug out patch. I added some good soil we brought in for the herb spiral and planted some lettuce there. In a month or so, with minimum maintenance, we had four lettuce plants, supplying us with salad greens. 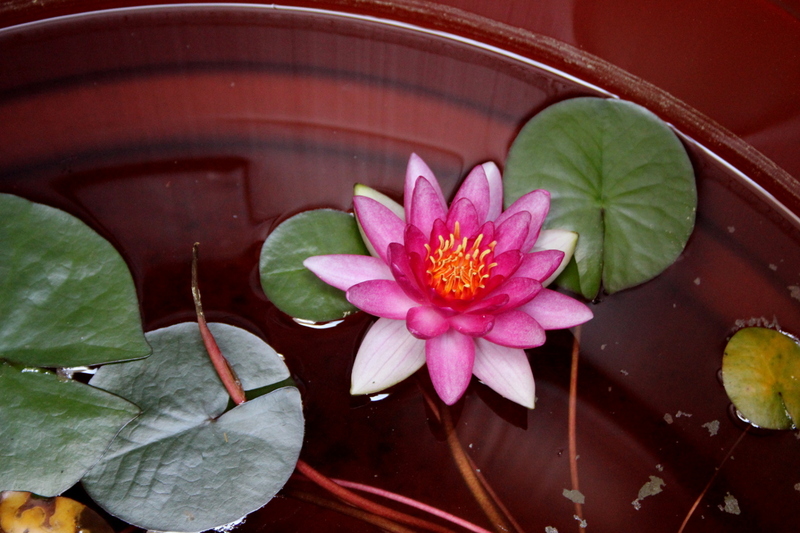 I considered it a successful test of this planting area. 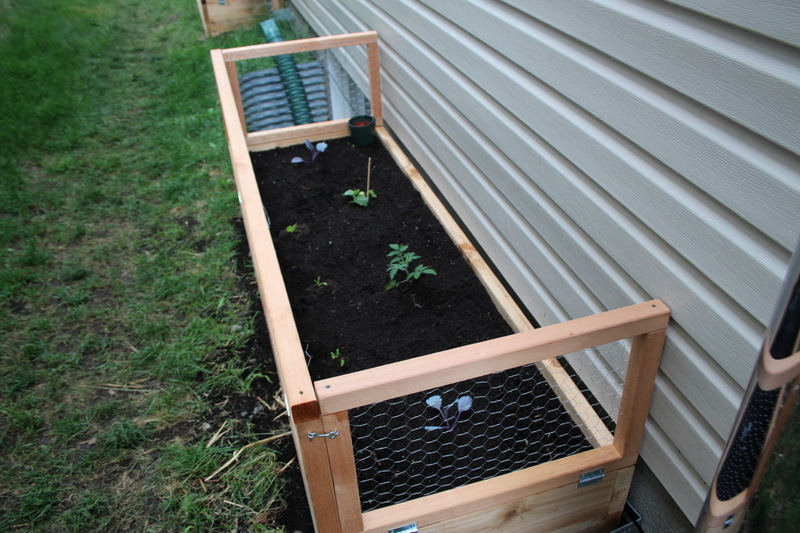 Since our most frequent mammal visitors in this area are rabbits, we’ve decided to add frames with wire on top of the raised beds, to prevent them from hopping on to enjoy the cabbage. 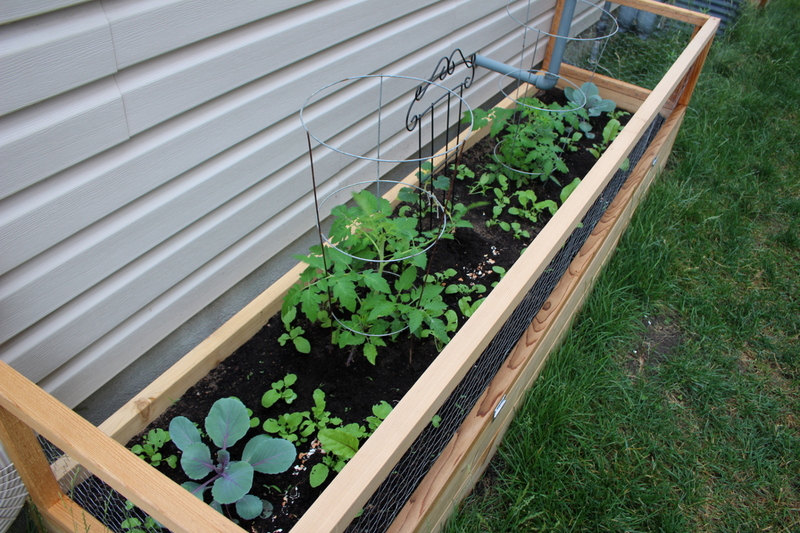 The sides are locked with latches and can drop to provide easier access to the soil. 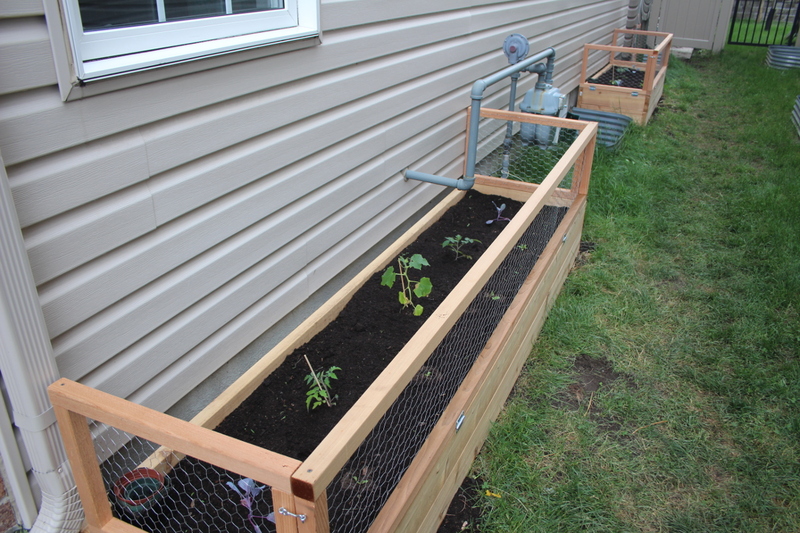 And here are the beds about a month later, with cages for tomatoes and a small trellis for cucumbers. The first box is the one getting the most sun. The tomato and the cucumber plant in the second box were not happy, so I’ve replaced them with two eggplant seedlings. 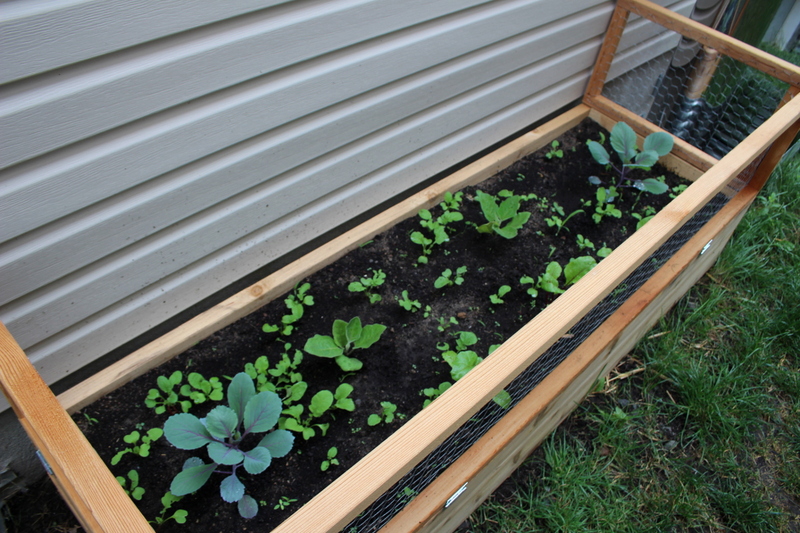 The cabbages, beets and the radishes are growing well. Consider the spaces around your home that you are not using. If they are in the sun, you can plant herbs, scarlet runner beans, cabbage – all of these make for beautiful plants. If they are in shade or part-sun, think lettuce, kale, arugula, other greens. 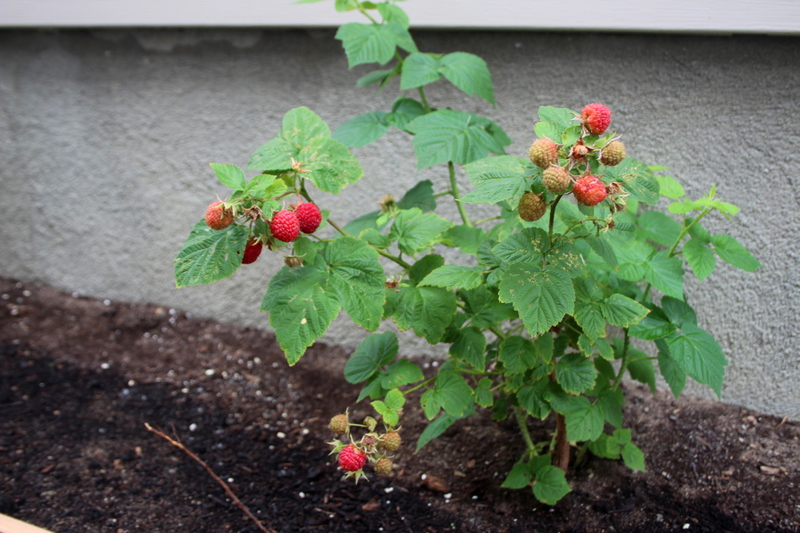 Reclaim small spaces to grow your own food.